It takes a very special product to get on the I AM Liberty show. When I started this show I wanted to be sure I wouldnt fall into the trap of becoming an affiliate salesman or a peddler. It’s for this reason I only introduce the I AM Liberty Faithful to people and inventions that are truly revolutionary. The PermaCube is just that. This is going to change the way the average American thinks about food. The PermaCube accomplishes a myriad of tasks from one central point. 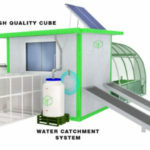 At its best it runs on solar power and bio fuel while housing chickens, dehydating foods, running aquaponics and growing vegetabes in the attached greenhouse. The beauty of this thing is its size and efficiency. These cubes can be made to scale and can produce a tremendous amount of food for your family. Join us on this show in player below as we have the creator of the PermaCube (www.permacuberevolution.com) on to discuss his invention. Its a new product that you can spread around the web. We will also discuss the possibilities of such a unit at the community level. This is a self sustaining food machine and its very impressive. In fact I may even have to refer to the creator as Willy Wonka going forward. Make sure to join us in chat or call in for this one 347-202-0228. Also call in and tell them you heard about the PermaCube on the I AM Liberty Show. Listen to this broadcast or download “PermaCube Revolution” in player below!